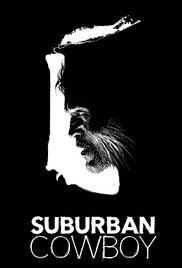 Suburban Cowboy premiered at The Austin Film Festival. It was not a film that was not on my radar even remotely. It was not a film I was planning on seeing and then word reached me that not only was the film good it, part of it was filmed near my house. Instantly it became a film I had to see and review. The film follows Jay a low level drug dealer living the good life. Things however go wrong when a Serbian crime lord decides that he is liable for the money that a friend of his stole. This sends him on an escalating path of crime in order to get himself clear of the debt. A wonderful low key thriller the film relies on real characters and fear of violence to keep us on the edge of our seats. We like the people and we fear for their safety and the actors give their characters enough weight that we don’t need the explosion of violence to be hooked. I really liked this film a great deal. Its exactly the sort of small scale gem that Unseen Films was set up to highlight. Currently on the festival circuit this is a film that you’ll want to track down and see when it comes to a theater near you. As for me I want to see it again. Awesome! Thanks for watching and posting - so pumped you liked it. For real? I grew up in Syosset, but live in Glen Head now.